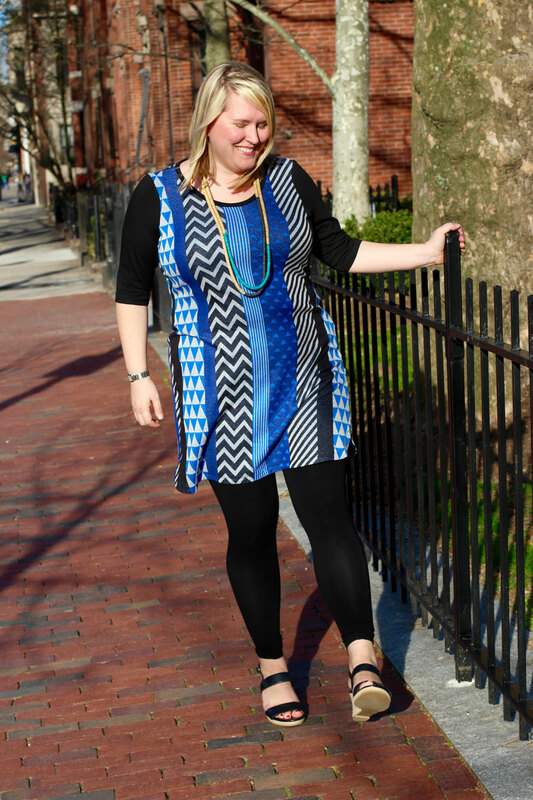 This week's post is from Jenny, Founder and Creative Director behind Cashmerette Patterns, a pattern line for the modern, curvy woman. This concept can be used on other t-shirt patterns too. It’s really easy to turn the Cashmerette Concord T-Shirt into a casual dress! When you’re thinking about fabrics, consider using something a little heavier than your usual t-shirt jersey: a double-knit, ponte, or quilted knit would be a great idea. I’d also recommend sizing up a size or two to avoid too much cling over your midsection. 1. Trace your pattern pieces - use the longest length option. 2. 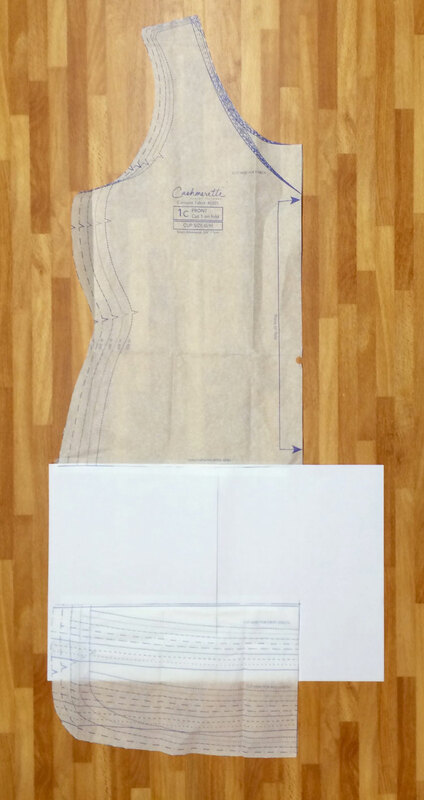 Take your front piece (1 A/B/C) and cut across the lengthen/shorten line. 3. Move the top and bottom pieces apart from each other, by the amount of additional length you need to take your t-shirt to a dress length. For my dress I lengthened it by 7 inches (I’m 5’6”), but you can do more or less depending on the hem length you want. 4. 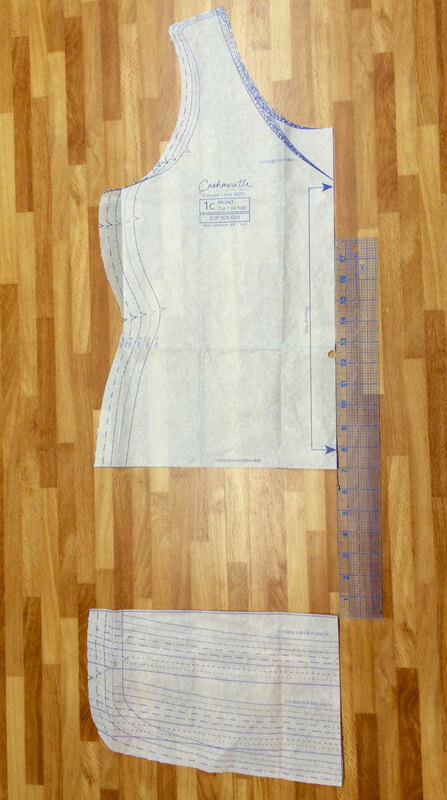 Place a spare piece of paper underneath the two pattern pieces, and tape it together. 5. 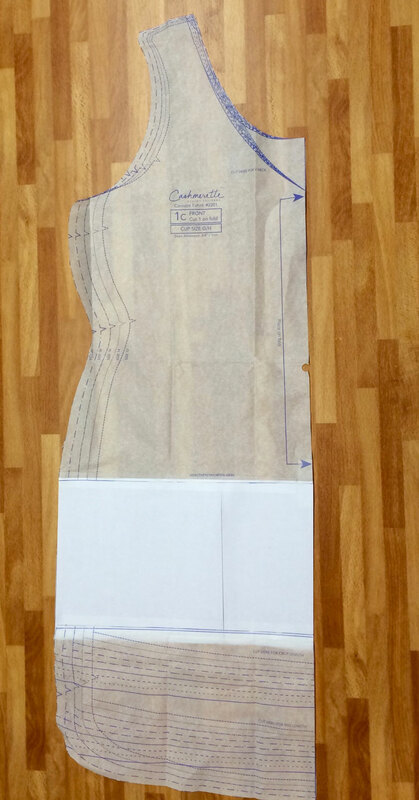 Trim the paper along the sides so you now have an extra-long front piece. 6. Repeat this process with the back piece (2), adding the same amount of length. 7. 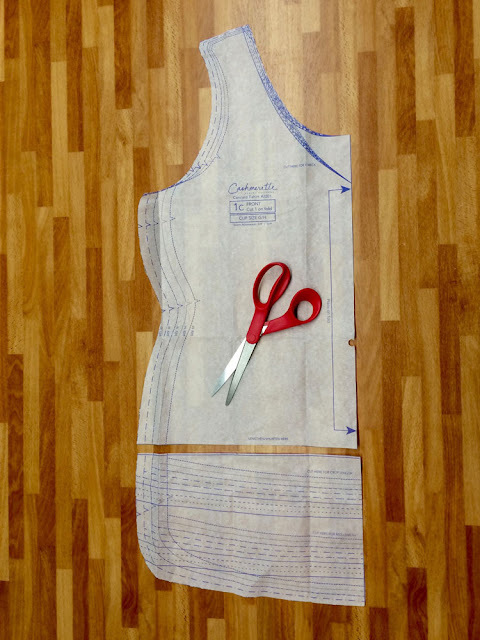 Sew your dress in exactly the same way as the t-shirt! Thanks again to Jenny for sharing this tutorial with us! You can purchase this pattern HERE. Next week, Julie Marlow, a Palmer/Pletsch Certified Sewing Instructor, will be sharing with us how to do a colorblocked t-shirt. Julie is also a garment sewing instructor at Charlotte Sewing Studio in Port Charlotte, FL. She has a T-Shirt of the Month club, where she introduces a "pattern hack" on the basic t-shirt She's a pro at this and that's why we asked her to join our event! What a cute outfit! I'm curious about the leggings, did you make those, too? And, if so, what pattern did you use? Lovely outfit and great color combination. Hi Debbie - thanks! And they are RTW leggings, from Boden (www.bodenusa.com). Yes, great idea and lovely fabric. But I must disagree with the recommendation of ponte for summer T's or dresses. MUCH too hot! To avoid the clingy properties of some lighter knits or ITY fabrics, go for a more substantial cotton/lycra or bamboo/lycra blend. We would agree that using a jersey for a summer dress would be a much better option than ponte knit. 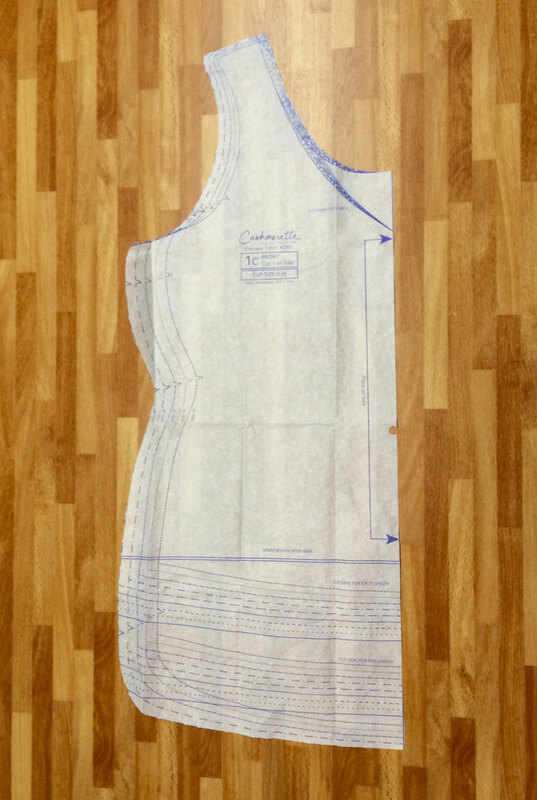 Ponte knit will though hold shape nicely for a dress, almost like a stretch woven. A jersey will most likely be looser and flowy. CoCo here, what pattern did you use? I love an easy peazy hack and that's what this is...that fabric is AWESOME!!!!! What a nice looking top, especially paired with the black leggings. What a great Friday date night outfit to wear to dinner. A great outfit to wear around the house too, when you need to make a quick run you look nice.